The scope of our ISO 17034 accreditation covers both the production of certified reference materials (CRM) and reference materials (RM) for a wide range of materials. This means that in addition to our standard reference materials we can also produce custom reference materials as check samples or to augment your calibration range. This capability can be beneficial to those people working with proprietary materials. Why is ISO 17034 important? If you are an ISO 17025 accredited laboratory you are required to use reference materials that are traceable and supplied by a competent reference material producer. ISO 17025 states that 17034 accredited reference material producers are considered to be competent. A common misconception is that reference materials can be ISO 17025 certified. In fact ISO 17025 applies an individual laboratory rather than the reference materials and ISO 17034 applies specifically to the production of reference materials. If you are an ISO 17025 accredited laboratory you should be asking for reference materials that are produced by an ISO 17034 accredited supplier. Why is ISO 17043 important? 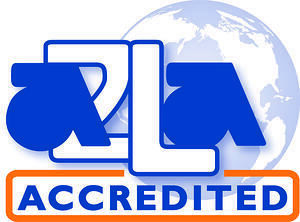 ISO 17043 is the accreditation for proficiency testing providers. ISO 17025 accredited laboratories are required to participate in proficiency testing programs (PTP). ISO 17043 accredited proficiency testing providers are considered to be competent by ISO 17025. If you are looking for a proficiency testing supplier they should be ISO 17043 accredited. There are many types of proficiency testing programs and you can learn more about PTP by downloading our white paper. ARMI has a unique PTP that uses CRM’s as unknown samples and compares your lab results with those of the pool of laboratories who participated in the certification of the reference material. The benefit of this approach over traditional PT programs is that you can receive results in days rather than months. This allows to test the various instruments in your laboratory with multiple matrices quickly and efficiently.